A Virgin Atlantic flight was forced to make an emergency landing at Gatwick airport after a landing gear failure. The plane touched down safely after a dramatic turn of events where the pilot identified a crucial problem with the landing gear in the middle of the flight. 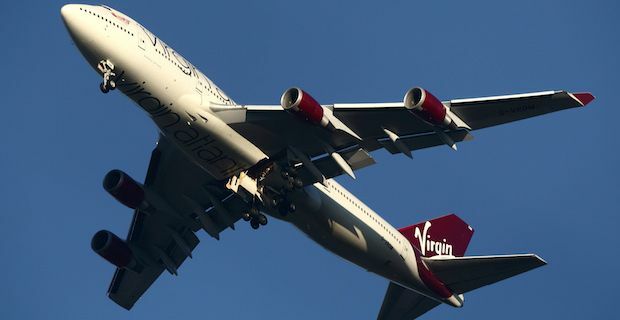 A Virgin Atlantic spokesperson said "Virgin Atlantic can confirm that flight VS43 on December 29, travelling to McCarran International Airport Las Vegas, returned to Gatwick due to a technical issue with one of the landing gears. Virgin Atlantic can confirm that the plane has landed safely at Gatwick. Our priority now is to look after our passengers." Flight VS43 was en route to Las Vegas when it was recalled after the issue was discovered. It then was forced to circle around the airport several times in preparation for landing in order to burn off fuel while the flight team also attempted to shake down the landing gear into position. The flight took off shortly before midday this morning and completed the emergency landing just before 4pm. Upon landing, the aircraft was attended to by fire and ground crews but the 400 passengers on board were not immediately evacuated. The passengers were all instructed to assume the standard brace position for all emergency landings before the pilot attempted the non-standard landing. Some passengers suffered minor injuries and the runway was closed off until the situation was fully dealt with. There were minor to the flight schedule at Gatwick due to the return of the plane with departures being delayed and arrivals being rerouted to nearby airports. What can you expect from a Virgin holiday?